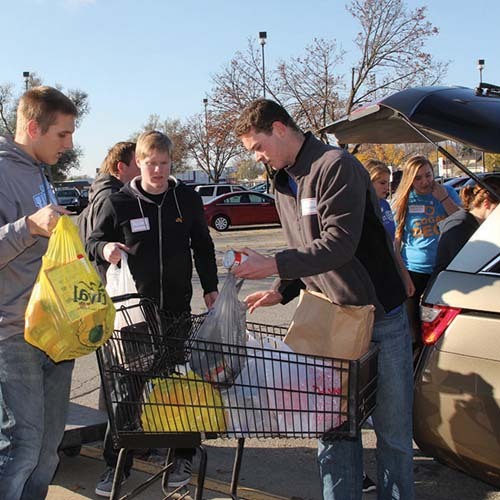 iFeed 11.4.17 is a one-day event where seven local High School Interact Clubs will work toward alleviating hunger in the world and in our own communities. Interact Clubs are Rotary Clubs at the high school level. The iFeed community food drive falls under the umbrella of Rotary Lights. Step 1: Read through all this information! Step 2: Designate a coordinator. This person will be responsible for communication with the people of iFeed. Contact Stephanie Fraase at stephdesigns2@gmail.com as soon as you have your food drive organized so that your site can be added to the iFeed website. Include the dates and location. Step 3: Decide on dates and possible theme. Your food drive can be as long or as short as you want it to be. All food drives should conclude by Friday, November 3, 2017. 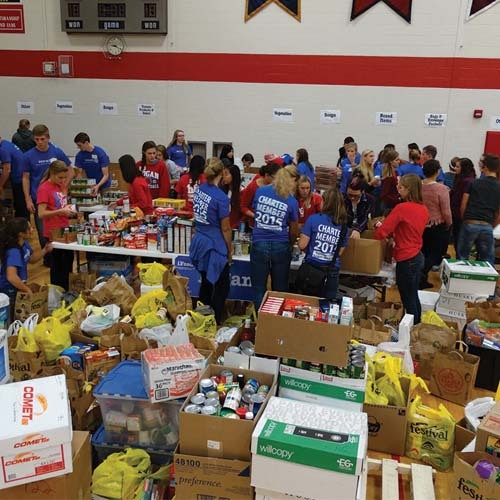 Then on Saturday, November 4, bring your food item collection to Logan High School in La Crosse from 8am to Noon. We ask that all food drives include the iFeed name some how. Step 5: Plan. Select a collection point or sites will be and what you will use to collect food in. Have containers (like small cardboard boxes) at each collection point. Do things to call attention to the containers for example, decorate them and hang posters around them. Consider where food will be kept if there is overflow. Step 7: Collect. Continue promoting during the collection. As items come in, check for overflow; box as you go. Step 8: Prepare food for delivery or pick-up. Bring all food donations to Logan High School on Saturday, November 4, 2017. There will be students at the front entrance of Logan to help you unload and bring your food in. You’ll want to come inside and check out the giant collection of food! 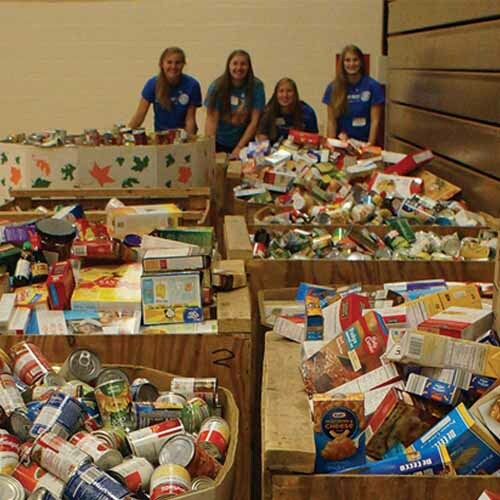 Be a part of the largest food drive ever! Step 8: NEW for 2017! If your organization is not in the La Crosse Area: Collect your food donations, and send us a picture or a short video (not more than 30 sec.) of your group WITH your collection. Create a sign of your choice with your food collection total. Email your photo or up load your video by Thursday, November 2. Your count and your photo/video will be included in our iFeed number totals and in the on-site video presentation! Make It FUN! Think Outside The Box! Provide every student/employee/group member with a bag to fill with food. Offer incentives: casual-dress days, leave early Fridays, $1 off to customers, no-homework day etc. Plan days for specific items (i.e. soup day, baby items day, canned fruits and vegetables day, etc.). Hold competitions between classes or departments for the most food collected. Offer a prize. Organize an event, party, car wash, etc. Have “food” as the price of admission. Invite a public official, television reporter or sports celebrity to kick-off the event. Take pictures of your participants and the food and post these on a website, Facebook or on a bulletin board. This information, in more detail is available on the Hunger Task Force website. Go to lacrossehtf.org, at the top select Donate, then Donate Food and then scroll to the bottom of the page.